What do you call a weekend packed full of learning, personal connections, and exploring delicious Kansas wine? If it’s January 5-6, 2018 you call it the Kansas Grape Growers and Winemakers Association Annual Conference! Wine enthusiasts pay attention during class! We shared a lot and learned a lot while having fun and enjoying wine… does that sound familiar? We're all family and it felt good to be around other Midwestern wine geeks. 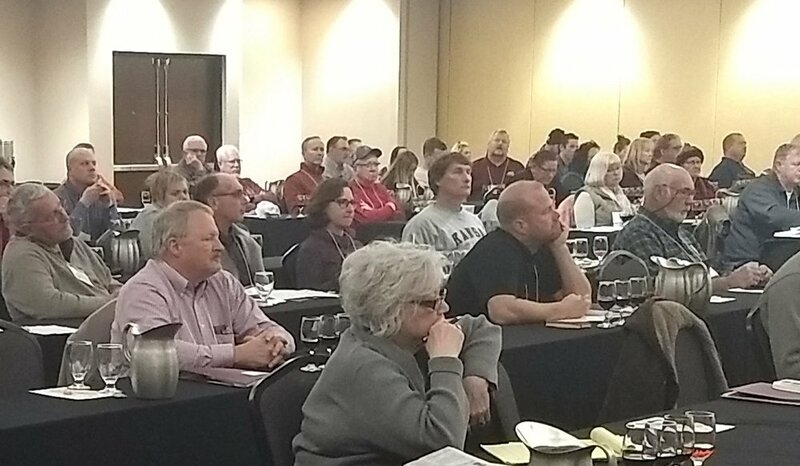 Educating others and expanding and improving the craft of winemaking in Kansas is important to us – we can’t wait to grow more interest in Kansas wine. And most of all, we can’t wait for you to taste our results. We’re open Saturdays in January from 11 AM – 5 PM so come on out and get cozy with some NightHawk wine!